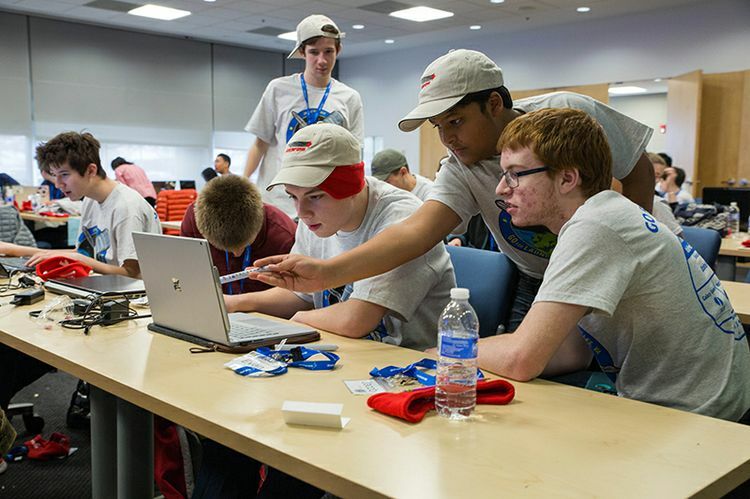 As the division sponsor of the “Go for Launch” program, Orbital ATK’s Dulles, Virginia, headquarters served as “ground control” for more than 50 local high school students who participated in a three-day program that promoted involvement in Science, Technology, Engineering, and Math (STEM), STEAM (Art); teamwork, communication and leadership. Created and presented by Higher Orbits, a non-profit group, the program uses space exploration as a platform to inspire tomorrow’s scientists and engineers with interactive hands-on activities delivered by experienced professionals that included retired astronaut and Orbital ATK Space Systems Group President Frank Culbertson. Virginia Congresswoman Barbara Comstock also stopped by to support the event and encourage students to learn more about the opportunities that exist in STEM-related careers. Students present their STEM experiments to a panel of judges. Tomorrow’s next generation of space pioneers collaborate on their experiments. The students heard several presentations that included information from Orbital ATK employees on career paths in the aerospace industry. 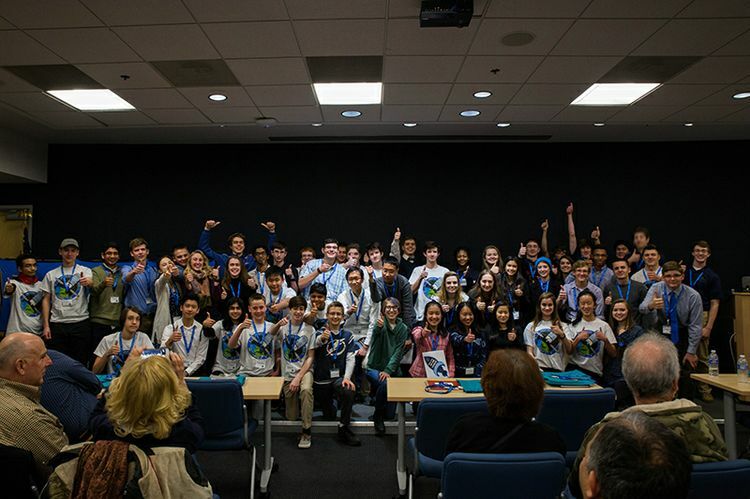 They also formed teams to develop the idea for a space experiment, which they presented to a panel of judges in the space and STEM fields. After hearing innovative ideas from nine groups, the “STEM Power” team was named as the winner. Their experiment will study how a particular molecule or “enantiomer” forms in space. Many drugs and medicines contain these molecules with some having a positive effect on the body and others causing negative results. The purpose of the mission is to determine how enantiomers act in space without gravity to better understand how they work. 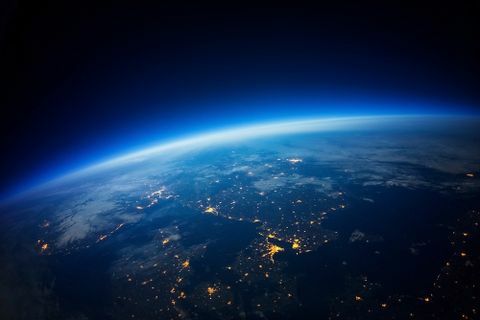 The goal to determine if they form differently in space than on Earth may ultimately produce medicine containing more “good” molecules that will perform more effectively to help the body. 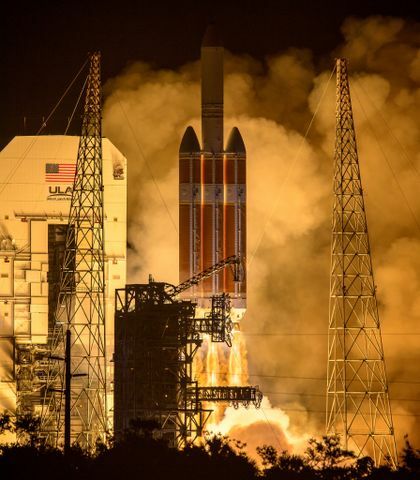 The payload would consist of a 4-inch box containing the chemicals along with a thermometer, an instrument to determine amounts of beneficial and harmful molecules along with equipment to collect data that would be sent back to Earth. 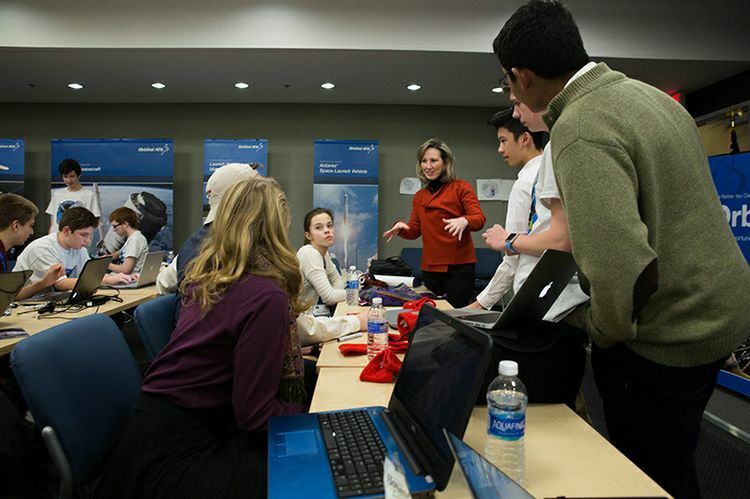 Congresswoman Barbara Comstock encourages the students to aim high on their STEM projects. The “STEM Power” team will now place its experiment in competition for the divisional title and the winner of that contest will see their experiment launched into space. 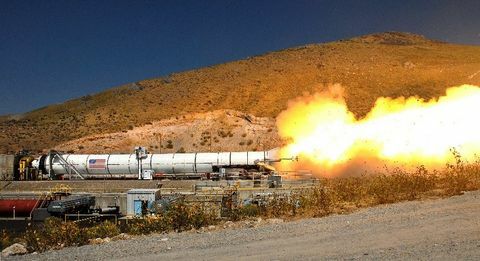 An example of a winning ticket in space happens this year when the recently announced “Go for Launch” 2016 Andromeda Division Winner will have its experiment launched to the International Space Station aboard Orbital ATK’s Cygnus spacecraft. After the three-day session in Dulles, students reflected on their time spent with mentors in the field. 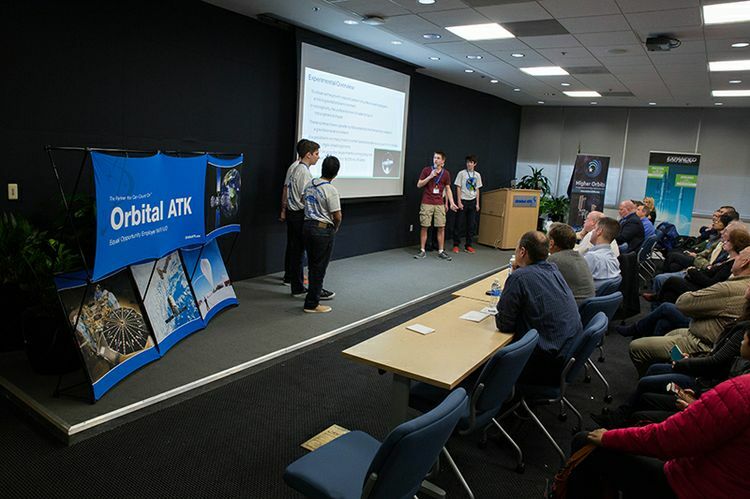 Some described the experience as “a great use of my time,” “an event definitely worth attending” and “I can put this experience on my resume for college.” Encouraging students to excel in the areas of science, technology, engineering and mathematics is an Orbital ATK core value and best demonstrated by an experienced team of employees ready to share their knowledge with future space innovators. The student teams give a “thumbs’ up” on their “Go for Launch” experience. 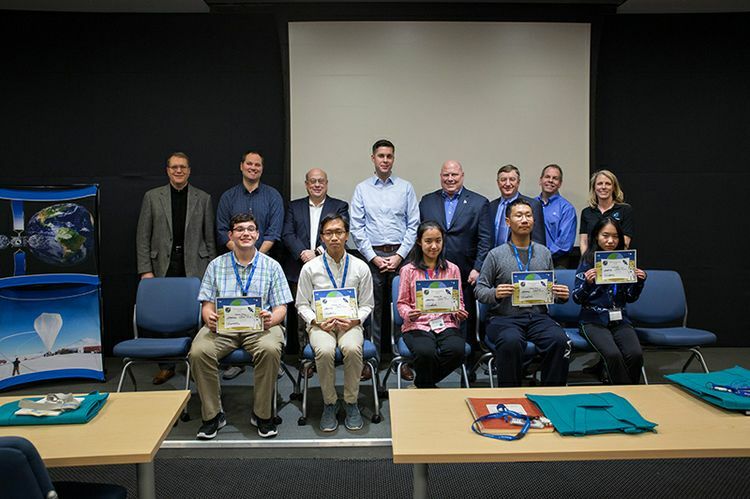 The winning team, STEM Power, shown with the judges including Frank Culbertson (third from right) and Higher Orbits founder Michelle Lucas (right).